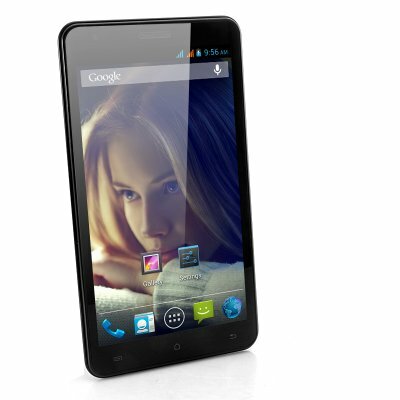 Successfully Added Android 4.1 3G Phone "Grim" - 6 Inch Screen, 1GHz Dual Core CPU, 8MP Camera to your Shopping Cart. 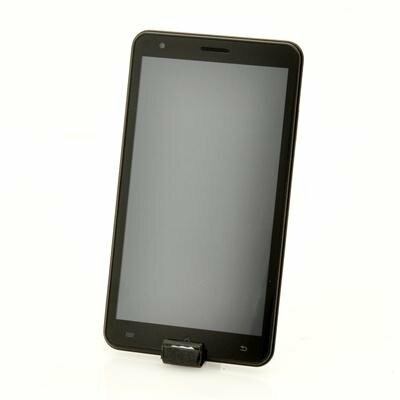 6 Inch Android 4.1 phone with 1GHz Dual Core processor, 3G functionality and designed as a portable Hybrid, this phone offers the combination of a large 6 Inch screen tablet and the portability of an Android Phone. Combining best of both Smartphone and Tablet worlds, the “Grim” was created as a portable hybrid which is neither too big nor too small! While perfectly fitting in your hand, the “Grim” performs all of its tablet and phone functions. Enjoy making phone calls, writing emails, downloading apps from the android market or playing games on the phone’s large screen. And don’t worry about the “Grim’s” performance, powered by a 1GHz Dual Core CPU you’ll be able to multitask at the speed of light! The phone’s Dual SIM enables you to use both quad band GSM and 850/2100 WCDMA networks, making this a great companion to travel with! And wherever you are, the built in GPS will always be able to help you find the best route to your destination. On top of that, the 8MP camera shoots magnificent pictures which can be viewed on the wonderful 854x480 screen. 4GB of internal storage should give you enough to space to store your music and pictures away, and it can easily be upgraded by inserting a micro SD card up to 32GB! Start selling this red hot Android product today to make some extra bucks or get one for your own at an unbeatable price! Order now and we'll ship it out from our warehouse tomorrow. Brought to you by the leader in wholesale Large Screen Android Phones, Chinavasion.